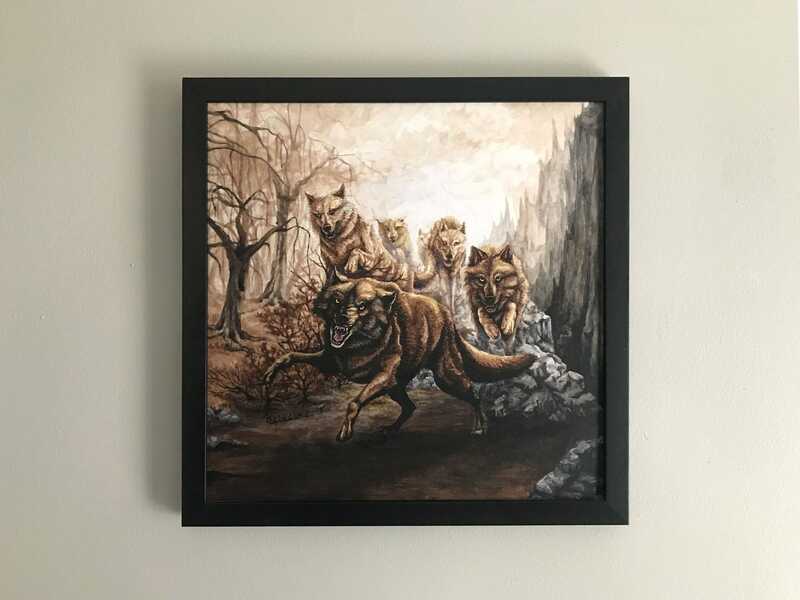 In this painting titled, “The Pack,” an angry pack of wolves charges down a rocky mountain pathway lined with steep crags and dead trees. 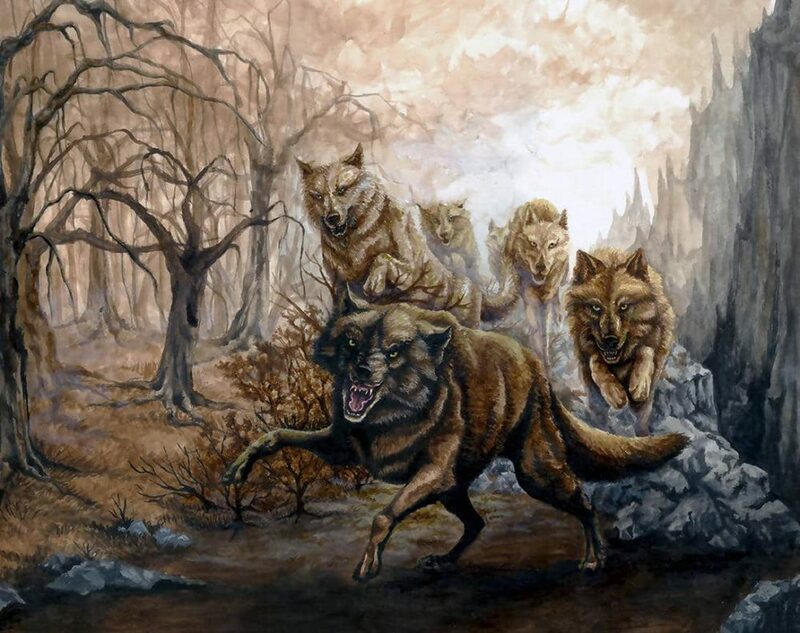 They leap over large boulders behind the huge, brown alpha wolf who snarls menacingly at the viewer. 14.25" x 14.25" x 0.625"